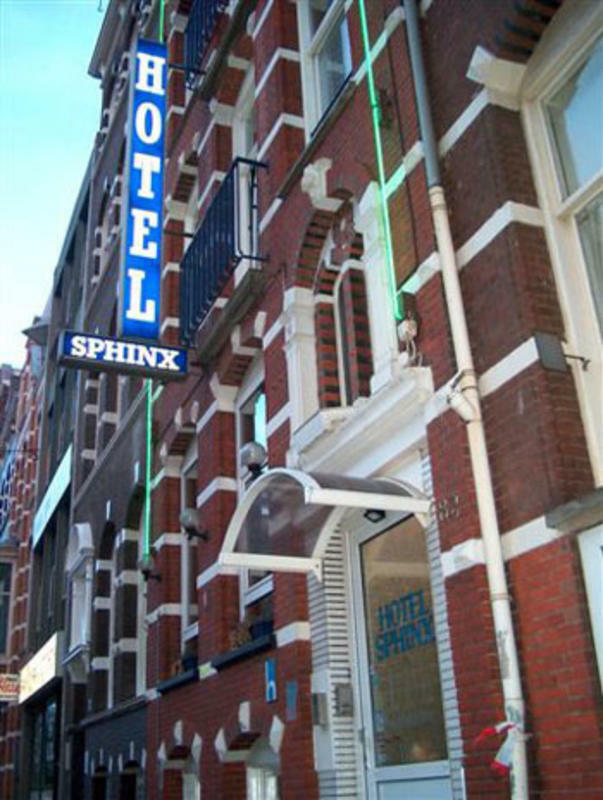 The Sphinx Hotel and hostel is situated in the centre of Amsterdam, surrounded by shopping areas, street market, second-hand market, flower market and entertainment centers like Leidseplein and Rembrandtplein. Rijksmuseum and Van Gogh museum are nearby and around the corner you will find the Heineken Brewery. Everything is within walking distance. The Wetering circuit is one minute away with tram stops for lines 6, 7 and 10. Trams 16, 24 and 25 will take you directly to Central Station in 10 minutes. Line 4 takes you to the RAI Exhibition Centre within 15 minutes. The breakfast room is decorated in a romantic 'Old Dutch' style. Continental breakfast is served here from 08:00 until 10:00 h.
If you wish to pay by credit card, there is an additional 4% charge for bank service costs. The hostel reserves the right to pre-authorize credit cards prior to your arrival. In case of declined credit card your reservation is not guaranteed. Check in after 24:00 is not possible unless the late check-in is informed. After 24:00 ,reservations without advantage informing(late check-in) are not guaranteed. Please note that we require you contact us at least 72 hours in advance to your arrival date to cancel,modify your reservation. Failure to do so can result in your card being charged for the first two nights. Reservations (= / >) 8 persons are regarded as group reservations and cancellation policy is 2 weeks prior to the arrival date. We are located in the centre of Amsterdam. From Schiphol Airport it takes half an hour by train to Central Station. From Central Station take tram #16, 24 or 25. After six stops (Weteringcircuit) you walk to your left into Weteringschans nr. 82 to Hotel Sphinx.